"300: RISE OF AN EMPIRE" HITS THEATERS 3.7.14...NOW LET ME HEAR YOUR WAR CRY! THE FILM THAT PUT THE "E" IN EPIC FINDS NEW WAR GROUND---THE HIGH SEAS! It's been nearly seven years since big bodies, bold battles and of course buckets of blood splashed across the movie screens sending fans into a tizzy! Come March 7th, 2014 the war cry will be heard once again. However, this time it'll be without Gerard Butler. Butler turned down the chance to reprise his role as Leonidas. Lena Headey will be back as Queen Gorgo with a sword in hand and an inspirational speech on her lips to rally the troops and drive the momentum of the next battle. 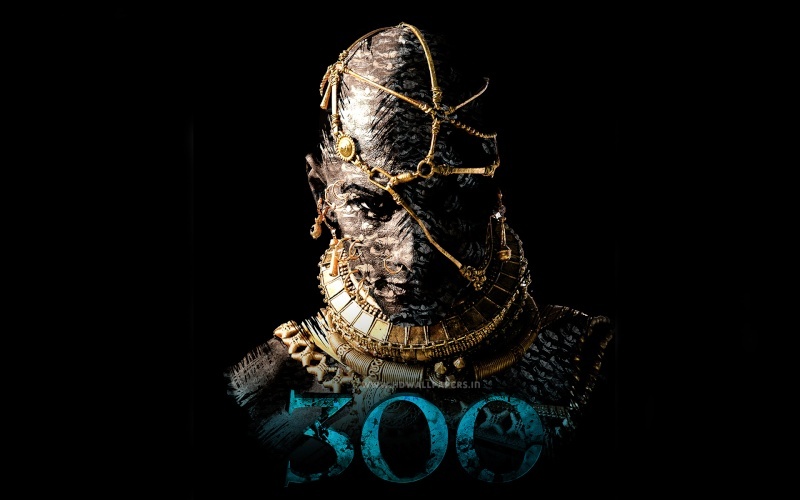 "300" is based on Frank Miller's novel. Miller says the new project begins about 10 years before the events of 300. "It's not a prequel or a sequel," says director Noam Murro in an interview with USA Today. "It's a different perspective and characters in the battle between the Persians and the Greeks." "This new chapter of the epic saga takes the action to a fresh battlefield—on the sea—as Greek general Themistokles (Sullivan Stapleton) attempts to unite all of Greece by leading the charge that will change the course of the war. 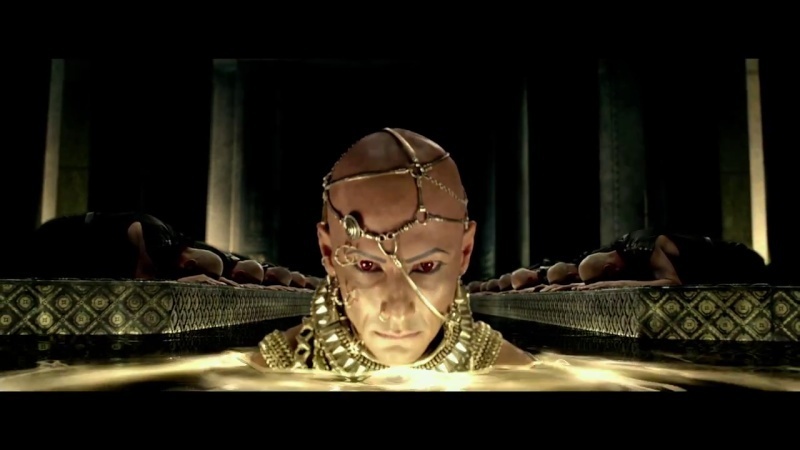 300: Rise of an Empire pits Themistokles against the massive invading Persian forces led by mortal-turned-god Xerxes (Rodrigo Santoro), and Artemesia (Eva Green), vengeful commander of the Persian navy." Not much advertising has been done to promote the film, but it's not really needed given the fever pitch left from the first installment. This film can stand on its fan following alone. 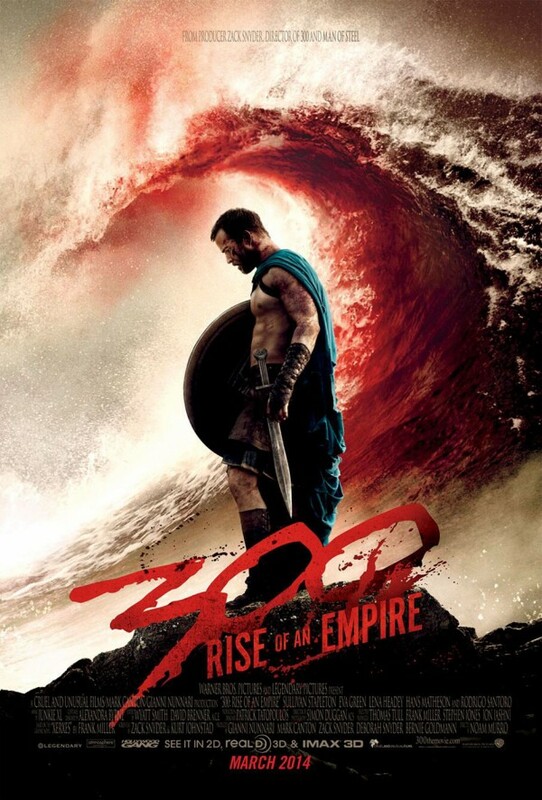 With stunning visuals and epic battles the first '300' has many waiting to see what will follow. Producer Zack Synder's decision to take the epic battle scenes to the seas was a smart choice to avoid the "we've seen this before" response from critics and fans. The film stars Eva Green (whom I love), Rodrigo Santoro, Sullivan Stapleton, with Lena Headey (another fav) reprising her role as Queen Gorgo from the first movie.